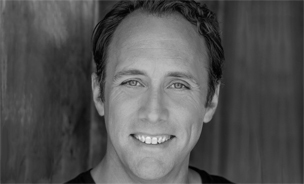 You are here: Home / About Us / Faculty/Staff / Will Springhorn, Jr.
Will Springhorn Jr. received his BA in Theatre from the University of Minnesota, Twin Cities and his MFA from Mountview Academy of Theatre Arts in London. Joined the faculty of DVC in 2009 and instructs in Acting, Stage Combat, Multicultural Perspectives in American Theatre, Lighting and Audition Techniques. 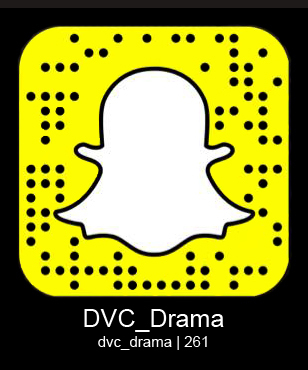 At DVC as a Director: Betty’s Summer Vacation (2010), Six Degrees of Separation (2014) as a lighting designer: The Taming of the Shrew (2014) as a fight choreographer: Othello (2009), A View from the Bridge (2009), Comedy of Errors (2011), Hamlet (2014), Noises Off! (2014), The Wedding Singer (2014), The Pillowman (2015), Oedipus El Rey (2015). Will is an active professional, and will appear in Scrooge in Love! at 42nd Street Moon in San Francisco (Nov 25 – Dec 13, 2015), Born Yesterday (Jan 29 – Feb 27) and Rock of Ages at Center REPertory Theatre in Walnut Creek (May 20 – Jun 25, 2016). Other Bay Area Theatre: Theatreworks, San Jose Stage Company (Artistic Associate), San Francisco Shakespeare Festival, The Magic, Marin Theatre Company, SF Playhouse, 42nd Street Moon, Center REP, Pac Rep, Theatre Rhinoceros, Berkeley Rep, and Theatre in the Round, Minneapolis. Will recently wrapped the lead role in The Spirit Machine, a short from Spin Dry Productions. Other films that Will has appeared in have been official selections at Cinequest, the Flatlands film festival, Gotham International short film festival, The Temecula Film Festival, the 4site Film Festival, International Digital Video and High Definition Film Festival, and the New York International Film Festival. Will is an associate producer at Nocturnal Features, currently showing Pablo On Wheels in festivals, and is in pre-production for Blood Run Free. Industrial and Commercial Clients include The San Jose Sharks, HP, Oracle, Cisco, Netapp, Believe Outloud, EMC GreenPlum and the Alameda County Fair. Will has appeared on Chinese Government Television to 850 million people wishing Happy New Year from Merryland Amusement Park in Guilin while a member of a Cowboy Stunt Show. Lighting Designs include original works Counter Attack with Stagebridge Theatre Company and The Afterlife of the Mind with Virago Theatre Company. Will designed three world premieres, EarthDance, The Terrain Project, and Axiom as a founding member of New Ground Theatre Dance, a performance company that combines theatre, dance, and media to accelerate social awareness and personal growth through professional local performers and artists. Will is a proud member of Actor’s Equity Association.